The DPRK played well, in fact against the odds because the US women had the advantage of size. The US did not get the decisive and overwhelming victory they desired. The DPRK came tantalizingly near to equalising. In my opinion the US players were aggressive and pushy . One DPRK player injured . I think the referees were biased against the DPRK. The U.S. authorities are vying each other to commit politically-motivated provocations against the DPRK. The U.S. chief executive asserted that the DPRK's nuclear deterrent for self-defense "threatens the world" while its military chief made oft-repeated trumpeting about "provocations." Officials of the Department of State including its secretary groundlessly slandered the DPRK on the basis of a variety of wild rumors about its situation without their own judgments to distinguish truth from lies. They are still pulling up the DPRK over its launch of satellite for peaceful purposes in a clumsy bid to justify their hostile policy toward it. The outbursts let loose by the authorities, prompted by their inveterate rejection and hostile intents on the ideology and social system chosen by the people of the DPRK clearly proved that the U.S. remains unchanged in its hostile policy toward the DPRK. It is known to everybody that the U.S. is hostile to the DPRK. But the point is why the authorities of its administration are all out to kick up an unprecedented anti-DPRK smear campaign this time. This reflects their fear of the fact that world people are rapidly growing stronger in their admiration and expectation for the rosy future of the DPRK led by the dear respected Kim Jong Un admired by the whole world. Also lurking behind this is their black-hearted intention to calm down bitter denunciation and pressure of the international community to the effect that it is impossible to ensure durable peace and stability on the Korean Peninsula unless the U.S. drops its anachronistic hostile policy toward the DPRK. The U.S. claims that it has no hostile intent on the DPRK while malignantly slandering it. This is no more than sheer hypocrisy aimed to deceive the public, to all intents and purposes, because it is an incoherent one. This is proved by what the U.S. is now doing quite contrary to its claim. It is busy staging large-scale joint military exercises against the DPRK one after another after massively introducing ultra-modern war means into south Korea and its vicinity. While talking about "people's living" in the DPRK, the U.S. is persisting in its harshest and protracted sanctions and blockade against it, threatening its vital rights and barring it from developing the economy and improving people's living standard. The U.S. is talking to the DPRK that its people would live well if it dismantles its nukes. This reminds one of a wolf preaching that it would not hurt sheep if the sheep has its horns curved. It is the DPRK's steadfast option to counter the U.S. hostile policy with bolstered nuclear deterrent. Now that the DPRK has powerful nuclear deterrent and strong munitions industry capable of steadily bolstering it, it is capable of putting spurs to the building of an economic power, undeterred by the U.S. persistent hostile policy. The DPRK does not need any advice from others as it has strategy and orientation of its own style to develop the economy and improve the standard of people's living and ways to carry them out. Pyongyang, July 31 (KCNA) -- DPRK weightlifter Kim Un Guk set a new world record in 62 kg category on July 30 at the London Olympic Games, bringing the country third gold medal in two days. The news has put the whole country into tumult of joy. 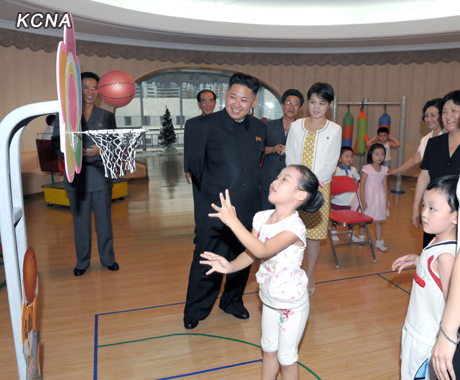 "I saw with anxiety on TV the DPRK athletes' matches. As the DPRK flag was hoisting higher than others, I got so excited that I could hardly repress my tears rolling down my cheek." "I extend my warm congratulations to the DPRK gold medalists. They won the matches, demonstrating the Korean people's ability, strong will and courage. I am proud of the good athletes augmenting the honor of the country. 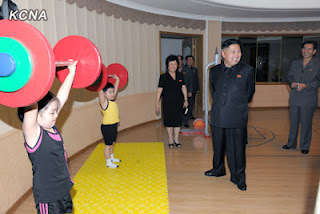 "I was told that DPRK weightlifter Om Yun Chol said his success is ascribable to the spirit instilled by leader Kim Jong Il. His remark represents what all of local people want to say. Today the Association For the Study of Songun Politics UK along with the Juche Idea Study Group of England and the UK Korean Friendship Association voiced their support for the statement of the National Defence Commission of the DPRK today (29th July). As made clear in our earlier statements we utterly condemn and roundly denounce the vile, criminal state-terrorism of the US imperialists and their miserable base toadies the south Korean fascist puppets. It is a very serious crime which no amount of denials or excuses or subterfuges can cover up. The USA is the mastermind and headquarters of terrorism against other countries. Even inside the USA terrorism is carried out such as the assassination of President Kennedy in the 1960s , the Oklahoma bombing and many incidents of massacres such as the recent one. We support the just and revolutionary stand of the DPRK as clarified by the statement of the DPRK NDC spokesman, It is totally correct that the DPRK should bolster its self-defensive means including the nuclear deterrent . We applaud the determination of the DPRK to foil and relatiate against the state-sponsored terrorism of the US imperialiss and south Korean puppets. 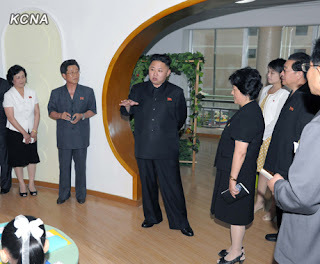 The DPRK will be strong under the banner of Songun and the leadership of the respected Marshal Kim Jong Un . Guided by the thought of Marshal Kim Jong Un that the building of a thriving socialist country is accompanied by serious class struggle the DPRK will smash all provocations and moves to undermine and destablise Juche- based socialism. ASSPUK,JISGE and UK KFA Commentary on "To Expect 'Change' from DPRK Is Foolish Ambition: Spokesman for CPRK"
The ASSPUK, JISGE and UK KFA issued the following commentary on the statement of the Committee For Peaceful Reunification of Korea. This is a very significant statement indeed. The south Korean puppets and the US imperialists and so-called Western analysts are all wrong. What they have done is to mistakenly interpreted some of the speeches of dear respected Marshal Kim Jong Un which refer to improving living standards and providing lives of comfort and ease. Such people have the wrong idea that the DPRK upholds the Pol Pot version of socialism whereas in fact improving living standards is central. Ironically in the past so called "reform" programmes, promoted by the revisionists and hailed by the imperialists, in the USSR and East European socialist countries simply pushed up prices and caused shortages, in China it led to a gap between the rich and poor. The DPRK does not aim at such a programme and moreover does not need it. 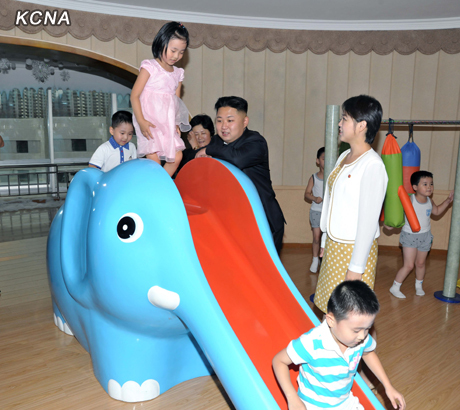 The DPRK, under respected Marshal Kim Jong Un is aiming to make people enjoy more benefits of socialism. New technology plus Juche and Songun will realise humanity's age old dream of a materially abundant life and a life of ease. Marshal Kim Jong Un will lead his people to a socialist paradise of comfort which will stand in contrast to the declining living standards on the capitalist world suffering from austerity. We Juche idea followers and friends of the DPRK should always be vigilant against those hostile forces(both open and hidden) who seek to destroy Juche-based socialism by "reform" and "opening ". The army and people of the DPRK are dynamically advancing toward the final victory full of fresh conviction and vitality with a great honor and pride of holding in high esteem Kim Jong Un, supreme leader of the party, army and state, as DPRK Marshal. They are bringing about remarkable events one after another in high spirit and stamina while demonstrating over the world the dignity and might as a power which is carrying forward the tradition of Mt. Paektu. This stirring reality is greatly admired by the whole world. Upset by this, the puppet group let experts in the north affairs and others interpret the stirring situation of the DPRK in a self-centered manner, vociferating about "signs of policy change" and "attempt at reform and opening". This ridiculous rhetoric only revealed its ignorance and sinister intention against the DPRK. As far as "signs of policy change" are concerned, there can not be any slightest change in all policies of the DPRK as they are meant to carry forward and accomplish the ideas and cause of the peerlessly great persons generation after generation, to all intents and purposes. The DPRK is putting forward new strategic and tactical policies in keeping with the changing and developing situation in each stage of revolution. The puppet group is describing it as a "policy change" and tried to give impression that the present leadership of the DPRK broke with the past. This is the height of ignorance just like a deaf person saying in his favor. As far as "attempt at reform and opening" is concerned, the DPRK has never left any field unreformed in socialist construction but always kept its door open. In the foreign relations, the DPRK has flung its door open to all those countries that are friendly toward it in the idea of independence, friendship and peace. It also has kept its door of reconciliation, unity and reunification open in relations between the north and the south. It is the hostile forces such as the U.S. and the south Korean puppet group that are running wild to isolate and stifle the DPRK with vicious sanctions while preventing it from conducting normal exchange with other countries. From decades of trumpeting "reform and opening" to impose their corrupt system upon the DPRK, the hostile forces now seem to have been preoccupied by hallucination that such a move is taking place in the DPRK. Such idiots ignorant of the DPRK are professing experts in the north affairs. Pitiful are the U.S. and the puppet group which are resorting to foolish ambition on the basis of their sham analysis. Those obsessed by showdown can not properly see through the essence like a half blind. The puppet group is vociferating about DPRK's possible "system change" and "reform and opening". This is aimed to create wrong impressions of the DPRK, being upset by the world's attention being focused on Supreme Commander Kim Jong Un, who is leading the Korean revolution to victory with his matchless grit, pluck and outstanding leadership while steadily carrying forward the great Songun revolutionary cause of the peerlessly great men, and the growing reverence of broad range of people in south Korea for him. It is also aimed at dampening the aspiration for reunification through alliance with the north mounting in south Korea, stoking confrontation and creating foolish impression of "north's change" in a bid to realize the ambition for "unification through absorption" whose nature had been revealed. To expect "policy change" and "reform and opening" from the DPRK is nothing but a foolish and silly dream just like wanting the sun to rise in the west. The DPRK is effecting new innovations and creations in order to make its people enjoy modern and a highly civilized life and live in luxury and comfort under socialism to their heart's content while pushing back the frontiers of latest science and technology in all fields. The puppet group should not get confused. Great Kimilsungism-Kimjongilism is the immutable guidelines and invincible banner of the Korean revolution and it is the steadfast faith of all the army and people of the DPRK to unswervingly keep to the path of socialism, the road of independence and Songun, under the leadership of Kim Jong Un. The hideous state-sponsored politically-motivated terrorism planned by the U.S. and the south Korean rat-like Lee Myung Bak group to demolish the statues representing the dignity of the supreme leadership of the DPRK and monuments in it has lashed the army and people of the DPRK into a great fury and shocked the world. Much upset by this, the south Korean group is working hard to put the situation under control while peddling the story that there is no organization that spearheaded the terrorism, no person gave instruction and no one was involved in the case. The U.S., direct manipulator of the hideous crime, is making irrelevant remarks. But with nothing can they cover up the high treason it committed against history, humankind and the Korean nation. The DPRK has powerful evidence to prove how the U.S. was involved in the crime and how Lee Myung Bak group attempted to execute it at the instigation and under the sponsorship of its master. The Workers' Party of Korea, state, army and people of the DPRK will invariably counter the U.S. hostile policy toward the DPRK with practical toughest counter-action. The U.S. loudly "declared" that it had no hostile intention toward the DPRK whenever other opportunities presented themselves. A typical example is the October 12, 2000 DPRK-U.S. joint communique. But they were make-believe propaganda without exception. In the September 19, 2005 joint statement the U.S. clarified that it has no intention to attack or invade the DPRK. But it was also a sleight of hand to conceal its black-hearted nature. Recently the president, state secretary and other dignitaries of the U.S. administration are becoming assertive in saying that the U.S. has no hostile intention toward the DPRK but it is also hypocrisy to deceive the public. The U.S. policy is sham one replete with fraud and hypocrisy. That's why it loudly spoke that it has no intention to be hostile toward the DPRK and to attack it, but behind the scene it offered extended nuclear deterrence to the south Korean group, openly beefed up aggression troops in and around south Korea and regularly staged big nuclear war exercises targeting the DPRK. Recently it worked out state-sponsored and politically-motivated terrorism aimed at bringing down the statues representing the dignity of the supreme leadership of the DPRK and grand monuments in it. Then it prodded south Korean group to hurl human scum to execute it. This evidently proved that the U.S. regards it as its invariable "national policy" to pursue hostility toward the DPRK. In the face of this stark fact, the army and people of the DPRK will react to the U.S. hostile policy toward it with the toughest stand. Only when there is no deceptive policy of the U.S. and south Korea and other forces blindly following it, will it be possible to stabilize the situation on the Korean Peninsula and bring peace to the world. The DPRK has drawn this conclusion long ago. 2. The WPK, state, army and people of the DPRK will counter the U.S. state-sponsored and politically-motivated terrorism targeting the DPRK with physical counter-offensive. The base of the world state-sponsored politically-motivated terrorism is the U.S. The U.S. is a hotbed of all forms of terrorism against other countries, and stooges like Lee Myung Bak group put them into practice. A number of North African countries are undergoing regime change which is called "civil revolution". This, in the final analysis, is attributable to the U.S. politically-motivated, state-sponsored terrorism. The grim Syrian situation which is developing into a civil conflict is again attributable to the U.S. tentacles stretched deep into it. It is a well-known fact that the U.S. state-sponsored politically-motivated terrorism is being committed worldwide under the pretext of "war on terrorism". The targets of the U.S. terrorism are progressive countries which do not accept American politics and those which are not obedient to its high-handed and arbitrary practices. It is the very reason that the DPRK is on the list of targets of state-sponsored political terrorism worked out by the U.S. The disclosure of the recent attempt to demolish statue and monument in the DPRK clearly proves that state-sponsored politically-motivated terrorism planned by the U.S. has entered the phase of open implementation. The U.S. and its stooge Lee group seek to foster destruction and turmoil and galvanize the public opinion with sudden terrorist act and thus destabilize the dignified social system in the DPRK. As it is confirmed that the U.S. is the base of state-sponsored politically-motivated terrorism targeting the DPRK and Lee group tried to execute it, the army and people of the DPRK will launch powerful physical counter-offensive to remove the root cause. 3. The DPRK will foil the U.S. hostile policy toward the DPRK and its sordid state-sponsored and politically-motivated terrorist attempt with the might of Songun. The Songun politics of the DPRK serves as an all-powerful treasured sword for safeguarding the headquarters of the revolution which the army and people regard as their life, and for reliably defending the dignity and social system of the country. It is the fixed option made by the army and people of the DPRK to steadily increase the self-defensive military capabilities including the nuclear deterrent under the uplifted banner of Songun so as to foil the U.S. hostile policy toward it and give vent to the deep grudge of the nation against the U.S.
Military and technological superiority is no longer the monopoly of the U.S. The U.S. is gravely mistaken if it thinks it can threaten and blackmail the army and people of the DPRK and undermine the social system in it, which has been consolidated based on the single-minded unity, with war means such as strategic bomber corps and carrier strike forces. The DPRK has various types of strike means of its own powerful enough to render the U.S. modern war means ineffective. The DPRK is a political and military power making a leaping progress toward the world and its army and people are dignified with independence which no one dare provoke. If those, who plan politically-motivated terrorism against the dignity of the DPRK and resort to big or small rackets for war, think the far-flung bases of those plots including the U.S. mainland will be safe, it would be the most foolish idea. The UK Korean Friendship Association together with the Association For the Study of Songun Politics UK and Juche Idea Study of England strongly denounce the unpardonable provocation committed by the London Organising Committee of the Olympic Games during the football match , between the DPRK and Colombia ,at Hampden Park Glasgow . It was an intolerable insult to the independent and sovereign DPRK to show the flag of the south Korean puppet regime. South Korea is an artificial creation, a puppet regime set up by the US with no real sovereignty therefore it was a double and treble insult to the DPRK. It is hard to draw any final conclusion as to whether this action resulted from incompetence(many have expressed unease and concerns about how the Olympics are being run ) or a planned and deliberate provocation against the DPRK . The incident could have been the result of bribery by the south Korean puppets or connected with the fact that south Korean comprador monopoly Samsung is a sponsor of the Olympics. It could also be connected with the fact the UK is sending troops to participate in anti DPRK war exercises . We hope the Olympics will be conducted in the spirit of impartiality and fairness and this kind of action will not be repeated. The UK Korean Friendship today issued a statement congratulating respected comrade Kim Jong Un, First Chairman of the National Defence Commission of the DPRK and First Secretary of the Workers' Party of Korea and supreme commander of the Korean People's Army , on the conferment of the title of Marshal of the DPRK on the 17th of July 2012 by a decision of the Central Committee and Central Military Commission of the Workers' Party of Korea. UK KFA believes that the conferment of Marshal of the DPRK on respected comrade Kim Jong Un is a deep manifestation of the people's trust in and support for him. Under the leadership of comrade Kim Jong Un the DPRK has stood firm against the provocations of US imperialism and maintained peace and stability in Korea. We believe that the Korean people will unite even more firmly before around the respected Marshal Kim Jong Un and make fresh and greater achievements in building a thriving socialist country in the DPRK. The UK Korean Friendship Association issued the following statement on the occasion of the 59th anniversary of the victory of the Korean people in the Fatherland Liberation War(Korean War) against the US imperialists . wearily concluded "I cannot find it in me to exalt at this hour. In carrying out the instructions of my government, I gained the unenviable distinction of being the first United States army commander in history to sign an armistice without victory ". The DPRK and Korean People's Army under the command of the great leader generalissimo Kim Il Sung, an ever victorious iron-willed brilliant commander fought a people's war , a war of justice against the imperialist invaders and won victory. "In human history there has been recorded no such a leader of the type of military general as Kim Il Sung, an unparalleled commander possessed of the power of both pen and sword, who, always standing on the front line with arms of the revolution in his hands, achieved one victory after another in the showdowns with the imperialist forces by dint of his brilliant military strategy and art of command. Despite its defeat in the war the US still keeps troops in south Korea which were supposed to be withdrawn under the terms of the Korean Armistice Agreement . Morover they have wantonly broken the Korean Armstice Agreement by repeatedly introducing weapons that are prohibited under the agreement. The Korean War (1950-1953) shattered the myth of “mightiness” of the United States to smithereens, and gave birth to a new myth of Korea that startled the whole world. launched pincer attacks, thus putting the armada on the defensive. Baltimore was lopsided hit by two torpedoes, broken in two parts by the third torpedo, and finally sunk under the sea. The light cruiser and destroyer scurried for flight. It was an event of special note in the world history of naval battles. The US and south Korean troops, beaten by the powerful counteroffensive of the KPA and making retreats southward, set Taejon the “second capital” and built the “line of no retreat,” and the “last defence line,” by deploying the 24th Division and numerous troops and military equipment. However, the KPA soldiers routed the enemy by employing detouring tactics, something beyond their imagination. As the enemy put emphasis on the front and kept the southeastern area open, Kim Il Sung saw to it that the KPA units, which had advanced to the southwestern area, manoeuvred back, some to the area southeast of Taejon to cut off the retreat of the enemy, thus forming a circle surrounding the city. On July 20, 1950 the KPA units waged a general offensive and liberated Taejon. Dean, Commander of the 24th Division, was caught by a KPA soldier while escaping in a soldier’s uniform. The “Invincible Division”, which was deprived of its colours and radio car, was thus routed. An officer of the US army wrote in a book that the KPA employed the tactics of attacking the 24th Division from the front so as to give them no other way but to beat the retreat, and on the other hand checking its retreat by detouring and infiltrating into its rear, and that the leading officers could not grasp the tactics until it was too late for them to save the situation. The tactics of the KPA employed when liberating Taejon is now studied at military academies in Europe as a major subject. Another myth of “mightiness” was shattered in the sky. A lot of modern US airplanes, including “air fortress B-29”strategic bombers, were downed by the conventional propeller planes of the KPA. Airplanes were shot down not only in the sky but also by the aircraft-hunting teams organized by the order of the President on the ground. Afraid of being shot by the Korean aircraft-hunters the US pilots switched over to high-altitude flight from low flying and preferred formation flight to individual one. Some of them even refused flight. During the war the US army lost some 12 220 aircraft. The US suffered the loss 2.3 times greater than what it had suffered in the four years of the Pacific War, including the loss of 1 567 120 men, among them 405 490 being US soldiers. They had no other way but to sign the Armistice Agreement, which was their surrender document. George C. Marshall who was the former US secretary of state and defence confessed: “The myth exploded to atoms, and it became clear to everyone that the United States was not so strong as others had thought to be.” Omar Bradley, who served as first chairman of the US Joint Chiefs of Staff, admitted that the Korean war was a great military disaster and the wrong war in the wrong place, at the wrong time and with wrong enemy. The Korean war is worth special mention in the world history, when “myth of mightiness” of the US was shattered to pieces and a new myth of Korea’s invincibility was created. DPRK v Colombia -victory for the DPRK ! 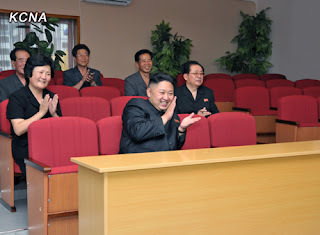 The DPRK beat Colombia 2-0 in the women's football match for the 2012 Olympics. A victory for Juche-orientated football . However what idiot put up the south Korean puppet flag instead of the DPRK Flag at the start of the game. On July 27, 1953, the Korean people burst out into cheers of jubilation over their historic victory in the war (1950-1953) against the United States which boasted of its being “the strongest in the world.” The cheers that day continue to reverberate to this day, along with successive victories they have won in the showdown with the latter. On January 23, 1968 the US armed spy ship Pueblo, which had intruded into the territorial waters of the DPRK, was captured by the Navy of the Korean People’s Army. The capture of a US ship in a foreign country was an event unseen in the history of the US. Immediately after that the US clamoured about “retaliation.” It dispatched a large-scale fleet of three aircraft carriers and others, and hundreds of airplanes around the Korean peninsula, threatening the DPRK that it would bomb its city, port or airfield unless it returns the ship and crew. The Korean peninsula was strained to the breaking point. At this juncture the DPRK answered, “retaliation for ‘retaliation’ and all-out war for ‘all-out war’!” The Korean army and people took up full combat positions, expressing their will to frustrate the aggressors at one sweep in case they dare attack. The US had to surrender to the determined stand and indomitable spirit of the DPRK. Within two weeks after it had declared “retaliation” it withdrew its fleet deployed in the waters off Korea and suggested holding talks to Pyongyang. After the talks which lasted for eleven months the US signed a letter of apology in which it acknowledged its hostile acts of espionage, solemnly apologized for them and firmly assured prevention of any recurrence to the DPRK Government. The then US President Lyndon Baines Johnson deplored that this was the only letter of apology in the history of the US. Far from drawing a lesson from the Pueblo incident, the US committed constant acts of military provocation against the DPRK by launching large-scale joint military exercises around the Korean peninsula. Each time, however, it failed to escape the merciless punishment of the Korean army and people. An incident occurred when a US spy aircraft EC-121 was shot down after having intruded into the territorial air of the DPRK in April 1969. Another incident occurred in August 1976 at Panmunjom along the Military Demarcation Line dividing Korea into the north and south, whenGIs committed provocations against guards of the KPA, but suffered a dreadful defeat again. In December 1994 a US helicopter which crossed the MDL was shot down, and in March 2003 a US reconnaissance plane RC-135 perpetrating aerial espionage near the territorial air of the DPRK made a tailspin frightened by the buzzing of KPA aircraft. The DPRK-US issue over nuclear confrontation that has dragged on in the new century following the 1990s is another typical example. In 1993 the US instigated the International Atomic Energy Agency to force a “special inspection” upon Korea on the pretext of its suspicions concerning its nuclear development, and launched the Team Spirit joint military exercise to stifle it militarily. On March 8, 1993 the Order of the KPA Supreme Commander was issued on declaring a state of semi-war for the whole country and on following March 12 the DPRK Government made a statement on its withdrawal from the Nuclear Non-Proliferation Treaty. Dispirited by the unexpected hard-line response of the DPRK, the US was obliged to come to the negotiating table. As a result, the DPRK-US joint statement on settling the Korean nuclear issue in a peaceful way was announced on June 11, 1993, and the DPRK-USA Agreed Framework was made public on October 21, 1994 in which the US promised the provision of a light-water reactor and alternative energy to the DPRK. Entering the 2000s, the Bush administration went back on the promises of the previous administration and adopted the threat of nuclear preemptive strike against the DPRK as a state policy, branding it as a “rouge state,” a “terror-sponsor state” and an “axis of evil.” In coping with this, the DPRK lifted the moratorium on its withdrawal from the NPT on January 10, 2003, clarified on February 10, 2005 that it would increase further the arsenals of nuclear weapons in order to strengthen the self-defensive nuclear deterrent and made the first underground nuclear test on October 9, 2006. Intimidated by the hard-line stance of the DPRK, the Bush administration signed a document to eliminate the DPRK from the list of “terror-sponsor states” towards the close of its term. Indeed, the chronicles of DPRK-US confrontation record successive victories of the DPRK versus the US. The whole course of DPRK-US confrontation starting from the Korean war has proved that the acts of provocation of the US are followed by the stern punishment of the DPRK, leading to the former’s serious defeats by the latter. 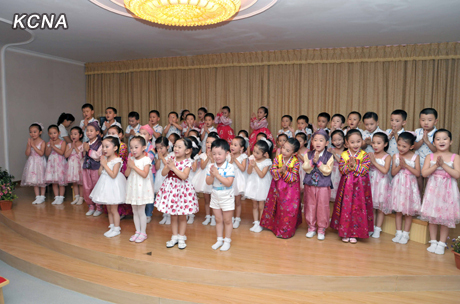 It can be said that the cheers of victory in the war have echoed out for nearly 60 years in the DPRK. Pyongyang, July 24 (KCNA) -- The U.S. and the south Korean regime are pretending ignorance of the recent attempted state-sponsored terrorist act which stunned the world. But liars have short wings. Persons involved in the heinous politically-motivated case testified to the fact that it was committed under the U.S. aid and with its final approval. The U.S. instigated south Korean intelligence agencies to let human scum form a organization for demolishing statues in the DPRK. It was deeply involved in the whole course of the case while offering them a large amount of money and subversion and sabotage means and even examining and approving the plan. It is needless to say that those devoid of elementary morality and conscience can not dare commit so a monstrous "undertaking". The international community was so shocked to find that the U.S. manipulated the terrorist case directly linked with the supreme dignity of a sovereign state despite its loud call for combating terrorism. According to data available, a meeting for U.S. special operations is a regular happening in Florida State. At a recent meeting, a brigadier general of the U.S. Army referred to the importance of spy activities in the DPRK. He said U.S. special units have already kicked off collecting information in the DPRK. The U.S. Department of Defense organized a secret action unit called the defense secret department at the Defense Intelligence Agency, intensifying information collection outside war zones. This organization preferentially aims at such countries as the DPRK, Iran and China. An official of the U.S. Department of Defense said that the new organization is aimed at letting agents hold right posts in cooperation with the Central Intelligence Agency and collect necessary information. This is not so surprising news. Information collection by U.S. special units in the DPRK was exposed by the action program of the U.S. Department of Defense which was opened to the public several years ago. The U.S. has prepared "conflict" in such a way as rallying agents near the border areas of the DPRK and spreading rumors there to create confusion. The U.S. set a special item in the national budget every year and has escalated psychological warfare against the DPRK and operations for undermining it while providing a fabulous amount of funds to anti-DPRK plot-breeding organizations. The recent attempted terrorist act was a violation of international law, which was committed on the line of their extension. Included in the International Anti-terrorism Law are regional conventions on ban of terrorist acts and punishment of terrorists, international convention on prohibition of terrorism by explosives and international convention on banning provision of funds for terrorism. Defined as forms of international terrorism in the conventions are violence or threat by violence of life and health of state leaders, government officials and public figures, acts of destroying and disturbing state public properties and use of firepower weapons, explosives and poison for indiscriminative violence. Such acts are bound to be strictly punished as they are international terrorist crimes, and no statute of limitations is applicable to criminals. The U.S. should meet the demand of the International Anti-terrorism Law. It can never evade the responsibility for the recent case. It should admit the gravity of the heinous politically-motivated, state-sponsored terrorist act against the DPRK as it acted a back-stage manipulator and make an official apology to the DPRK. The U.S. should punish felons responsible for the terrorist acts. 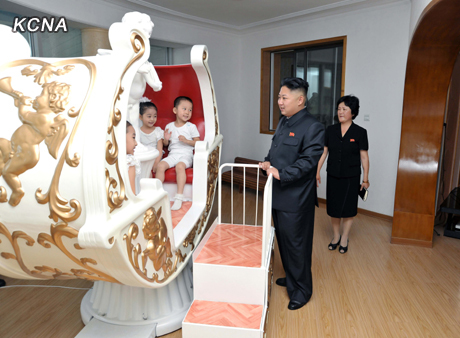 DPRK is glorious! DPRK is independent! DPRK is a way of life! Life of the People of DPRK. Imperialism's psychological warfare against the Democratic People's Republic of Korea is by no means a simple one-dimensional one but has many threads . Indeed one could compare to the Medusa the monster of Greek mythology who had numerous poisonous snakes coming out of her head. 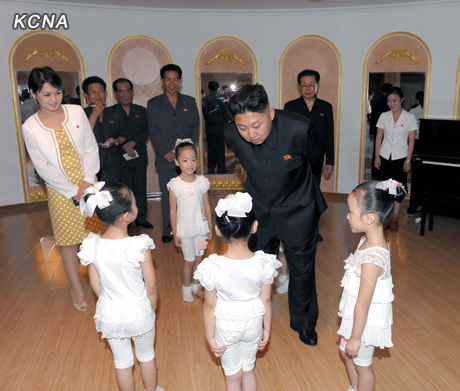 "Who is dismissed and appointed in the DPRK is not a matter of concern of other countries. The rumours put it that the illness was not the cause of dismissal, a wanton infringement on the state sovereignty by those steeped in bitterness toward the DPRK to the marrow of their bones. The aim is to break the single-minded unity which represents the biggest might of the DPRK, lead it to deviate from the path of its already chosen option and stifle it"
There should no reason to doubt the account given by the DPRK of the replacement of the chief of staff. After all an serious and incapacitating illness such as a stroke or heart attack can strike very suddenly without warning . The Western media wrongly reported that the former chief of staff had been seen at a public event just before he was relieved of his duties when in fact he had not been at a public function for a week. Every single report or analysis by Western journalists and so-called academics has been based purely on conjecture, guesses, assumptions and presumptions and in many cases outright lies. How on earth can journalists and academics sitting in New York and London know what happens within closed sessions of the Political Bureau of the Workers' Party of Korea ? Do they have the power of telepathy or something or are they just idiots who make up stories. 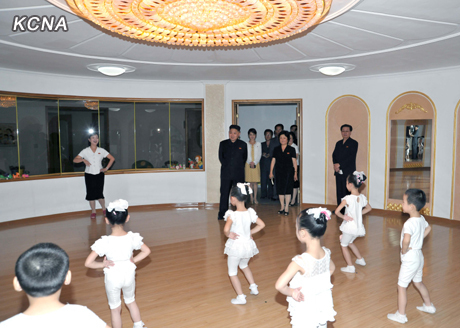 A few weeks before much excitement and speculation was aroused by the performance of the Moranbong band . The performance itself was a demonstration performance to show the different kinds of music and dance the new band could perform . Attention focused on one dance routine using characters of a certain country. The rest of the performance was ignored by the Western pundits. Sources within the DPRK told me that there is no change in the policy of maintaining the Juche character in culture and that the policy of combating imperialist ideological and cultural infiltration still applies. "The situation in the DPRK proves that there is no change in its stand to keep to the path of Songun, path of independence, pioneered and led by President Kim Il Sung and leader Kim Jong Il. Unbreakable is the single-minded unity in the country. 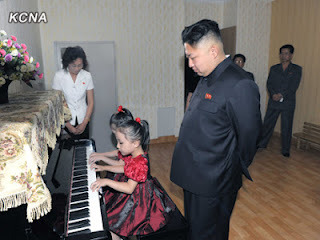 The army and people of the DPRK have grasped the greatness of the dear respected Kim Jong Un through their experiences. Absolute and boundless is their trust in Kim Jong Un who devotes his all to the people, always considerate of them. The change in line and power scrambles touted by the hostile forces are an intolerable insult and challenge to the headquarters of the Korean revolution, the party, state, army and people of the DPRK. No matter how desperately the hostile forces may hatch cunning plots, they can never check the dynamic advance of the army and people of the DPRK along the path of Juche, rallied close behind Marshal Kim Jong Un. It is a well known fact the US is not only the chieftain of world imperialism but also the kingpin of state-sponsored international terrorism. It has carried out terrorist operations in many parts of the world using puppets and proxies. The Playa Giron episode in Cuba was typical of this . The US assassinated murdered many leaders by the method of direct or indirect state- sponsored terrorism , these included Patrice Lumumba, Che Guevara, Salvador Allende, Samora Machel and Co Gadhafi . The US imperialists instigated over 100 coup' d etats throughout the world including 30 in Latin America. It is hypocritical of the US to pontificate about combatting terrorism and "improvement of relations with the DPRK " when they sponsored such a vicious and despicable plot as the Jon Yong Chol plot against the DPRK. Had it succeeded it would have resulted in the loss of life. It would have been an act of war against the DPRK. In fact simply by conspiring to commit such an action is an act of war against the DPRK. The US imperialists and south Korean puppets are guilty of criminal actions against the DPRK . Firstly, their action was aimed at attempting to instigate and foment disturbances in the DPRK with the aim of overthrowing the socialist system in the DPRK and setting up a pro US capitalist regime in the northern half of Korea , this itself would be a grave crime. Secondly, it is an action of insulting and defiling the dignity of the DPRK supreme leadership against the DPRK . Thirdly, it is an act of gross interference in the internal affairs of the DPRK and a denial of sovereignty of the DPRK. Fourthly, it threatens peace and stablity in Korean and the whole of Asia. The US imperialists and the south Korean puppets must be made to pay dearly for their crimes against the DPRK.
" US IMPERIALISM IS THE MOST BARBAROUS AND SHAMELESS AGGRESSOR OF MODERN TIMES, THE MAIN FORCE OF AGGRESSION AND WAR,THE RINGLEADER OF WORLD REACTION, THE BULWARK OF MODERN COLONIALISM, THE STRANGLER OF NATIONAL LIBERATION AND INDEPENDENCE AND THE DISTURBER OF WORLD PEACE". The US imperialists are pursuing a multi -faceted strategy to destroy Juche-based socialism in Korea. One part of it is terrorism and sabotage in co-ordination with the south Korean puppets. Another part is try and strangle the DPRK independent economy with sanctions. The US imperialists , south Korean puppets and some other forces also resort to psychological warfare , extreme anti- DPRK , anti- socialist propaganda plus ideological and cultural infiltration . Yet another part of this strategy is the use of insidious agents of influence to attempt to lead the DPRK into "reform" and "opening up" . All of this is doomed to failure because of the strength of Juche-based socialism. The criminal action of the US in supporting terrorism against the DPRK has proven that so-called improvement of relations and "dialogue" is nothing but a lie and a trick. It is only just and correct that the DPRK should pursue countermeasures against the US. We fully support the stance of the DPRK. Today the ASSPUK and JISGE issued a joint statement on the 59th anniversary of the victory in the Fatherland Liberation war of the Korean people against the US imperialist aggressors. July 27th is the second day of liberation for the Korean people . It is an inspiration not only for the Korean people but for Juche idea followers, Songun idea followers and anti-imperialist fighters the world over ,from Bogota to Belfast. The Fatherland Liberation War of the Korean was an unequal battle as the US imperialists threw in huge armed forces plus the troops of 15 of their satellite countries as well the Japanese militarists not too mention the south Korean puppets. The US imperialists used barbaric methods of warfare exceeding those of the Hitlerlite nazis. They used germ and chemical warfare and carried out horrendous massacres. All these failed to subdue the Korean people who under the wise leadership of the great revolutionary leader Marshal Kim Il Sung achieved a great victory. The forces of the heroic KPA defeated the so called "Invincible US 24th Divsion", taking its commander General Dean prisoner. Dean was the first US general to be captured by an opposing side. The KPA turned Height 1211 into a hill of heartbreak for the US imperialist aggressors. The KPA and Korean people fought in the revolutionary spirit of self reliance. The great revolutionary leader Marshal Kim IL Sung stated“We must solve our problems no matter who is helping us and what help we get......Victory must be won by our strength” " It was their efforts that were primary in defeating the US imperialist aggressors. The US imperialists lost over : 1,567,128 men including 405,498 US soldiers, 1,130,965 south Korean puppet troops, and 30,665 soldiers of their satellite states were killed, wounded or captured; 12,224 airplanes includ­ing "air fortress B-29" were downed, damaged or captured, 7,695 guns, 3,255 233 tanks and armoured cars were lost; and 564 warships and vessels including the heavy cruiser Baltimore and the flagship of the Seventh Fleet Missouri were sunk or damaged. The loss suffered by the US imperialists was nearly 2.3 times greater than what they had suffered in the four years of the Pacific War during World War II. "In this great struggle our people fought determinedly as one in mind under the correct leadership of the party and government and thereby withstood the harsh trials of war honourably and won a historic victory inflicting an ignominious defeat on US imperialism and its running dogs"
"It was a great revolutionary war of worldwide significance, a war in which our people defended their motherland and inflicted the first-ever defeat on US imperialism, the ringleader of world imperialism, by waging a national, heroic struggle. It was, indeed, a miracle that our newly-liberated people could defeat the powerful US imperialists in this war. At the time the enemy forces were incomparably superior to ours both numerically and technologically. The US imperialists mobilized for the Korean war their vast army, navy and air force armed with modern weapons and the latest equipment as well as the armies of their 15 satellites, and conducted the most cruel and brutal warfare. The young People's Army and our people were able to defeat these enemies because they fought heroically, displaying the indomitable fighting spirit of their anti-Japanese revolutionary forerunners and trusted and united closely behind the great leader, the legendary hero of the anti-Japanese war and the ever-victorious, iron-willed, brilliant commander"
The Fatherland Liberation War ended in victory due to the Juche orientated military tactics and Songun revolutionary leadership of the great leader supreme commander Marshal Kim Il Sung. The victory inspired national liberation and revolutionary movements all over the world and started US imperialism on its decline. US imperialism's defeat in Korea preceded its defeat in Vietnam. Today the viscous US imperialists and south Korean puppets are running wild to ignite a second Korean war even going so far as to carry out evil terrorist plots against the DPRK . However under the leadership of respected Marshal Kim Jong Un , the Songun revolutionary armed forces of the Korean people will inflict an even bigger defeat on the US imperialists and bring final victory. Pyongyang, July 20 (KCNA) -- The U.S., south Korea and other forces hostile toward the DPRK are spreading false rumors as regards the organizational matter dealt with at a meeting of the Political Bureau of the Central Committee of the Workers' Party of Korea. Taking the lead in the smear campaign are FOX News, CNN, VOA, the New York Times, the Los Angeles Times and other U.S. media and Chosun Ilbo, Dong-A Ilbo, Korean Broadcasting System and other south Korean conservative media. They fed the public with misinformation that there is serious power scrambles within the leadership in the DPRK and it has shifted its line from the military-first policy to the party-first policy emphasizing party's control over the army. Who is dismissed and appointed in the DPRK is not a matter of concern of other countries. 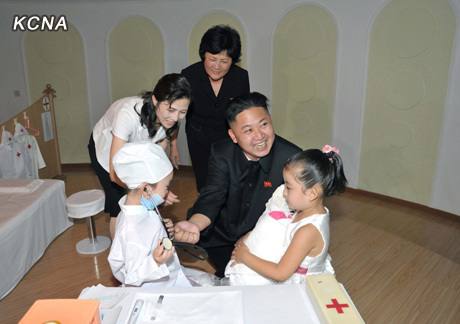 The rumors put it that the illness was not the cause of dismissal, a wanton infringement on the state sovereignty by those steeped in bitterness toward the DPRK to the marrow of their bones. The aim is to break the single-minded unity which represents the biggest might of the DPRK, lead it to deviate from the path of its already chosen option and stifle it. It is by no means fortuitous that traitor Lee Myung Bak of south Korea, timed to coincide with the false rumors, said that "unification under liberal democracy" has drawn near while trumpeting "bigger unified Republic of Korea." This is, however, nothing but a daydream. The situation in the DPRK proves that there is no change in its stand to keep to the path of Songun, path of independence, pioneered and led by President Kim Il Sung and leader Kim Jong Il. What is extremely regretful is that some media of those countries around the DPRK have been embroiled in the wicked campaign. As the KCNA stated at the recent second world media summit, it is prerequisite for media to strictly abide by the principles of objectivity, impartiality and accuracy, away from prejudice, if they are to live up to their mission as a pace-setter and organizer of the public opinion. Individual media of those countries around the DPRK are echoing false rumors with an eye to popularity and "peculiarity". This does not conform to the mission of media which should regard authenticity, impartiality and accuracy as their life and there is no benefit in view of the development of relations between countries. They should not be taken in by childish trick of those fools. They should think back if they remained true to the prestige and dignity of media. ASSPUK and JISGE Hail the Work The Great Kim Il Sung is the eternal leader of our people and party. The ASSPUK and JISGE today issued the following joint statement on the work of the respected Marshal Kim Jong Un First Secretary of the WPK , The Great Kim Il Sung is the eternal leader of our people and party. This work fully underscores the need and obligation to follow faithfully the ideas and lines of the great leaders comrade Kim Il Sung and comrade Kim Jong Il;and to make them the permanent guideline for the Korean revolution. In the work dear respected Kim Jong Un explains the great contribution that the great leader comrade Kim Il Sung made to the great revolutionary struggles of the 20th for national and class liberation, human independence. The 20th century shines as the century of Kim Il Sung , the era of Kim Il Sung. Dear respected Kim Jong Un made a masterly historical analysis of the shining history of the DPRK created by the great leader comrade Kim Il Sung.The DPRK is a product of class struggle against imperialism, dominationism, revisionism and dogmatism. It is a very good summing up of the experience of the Korean revolution . The DPRK did indeed face the interference and intervention not only from the US imperialists but from neighbouring big powers . The DPRK thanks to comrade Kim Il Sung steered an independent path between Rightist and Leftist opportunism . This work up of the experience of the Korean revolution but a guide for the future. In a work 2 weeks before First Secretary Kim Jong Un had drawn attention to the fact the struggle to build a thriving socialist country is accompanied by a serious class struggle. Thus there is an organic link between the past, present and future of the DPRK. Dear respected First secretary Kim Jong Un in the work expounds the idea that the socialism of the DPRK, Juche-based socialism is invincible socialism because it is an independent socialism based on the Juche character. This work shows the profound theorectical insight of dear respected First Secretary Kim Jong Un and is undoutedly of outstanding brilliance . It enriches the ideology of Kimilsungism-Kimjonngilism. We strongly commend the work to all Juche idea followers and progressive people throughout the world . As already reported, a man who infiltrated into the DPRK to demolish a statue and monument in the DPRK, holy ones for its people, under the back-stage manipulation of the U.S. and south Korean puppet regime was arrested. His testimonies proved that the U.S. is being deeply involved in the conspiratorial plan which the south Korean regime worked out by putting to use defectors to south Korea. This is a token of the extremely vicious act of hostility against the DPRK prompted by the intention to stir up the people's mindset, break the single-minded unity and overthrow its social system in the end, a vivid expression of the U.S. hostile policy toward the DPRK. The U.S. rallies hostile elements of the countries which incur its displeasure and prods them to the actions of undermining and disturbing those countries and uses the ensuing social confusion as pretexts for military interference and war of aggression. It is a typical method the U.S. has employed in recent years to overturn social systems in other countries. It is an open fact that the U.S. has a special item in its state budget to fund the conspiratorial organizations against the DPRK every year to escalate the anti-DPRK psychological warfare and the operation to disturb it. The envoy of the U.S. State Department for the human rights issue in north Korea who visited south Korea in mid-June this year announced that the U.S. would offer 10 million U.S. dollars to the conspiratorial bodies active for the "disturbance of north Korea" this year. It is not just co-coincidental that the terrorist was arrested in the DPRK soon after the announcement. This incident is just a simple example of sabotage against the DPRK being conducted by the U.S. Even at this moment, the hostile elements bribed by the U.S. are hatching the second and third conspiratorial plans according to the U.S. scenario. The hostile act aimed at demolishing the statues of the peerlessly great persons of Mt. Paektu amounts to the most undisguised insult to the dignity of the supreme leadership of the DPRK and the mental mainstay of its people, and physical attack on it. Thus it is a war action as serious as the armed invasion. The prevailing situation proves that the U.S. has totally backtracked from the main points of the October 12, 2000 DPRK-U.S. joint communiqué in which it stated that it has no hostility toward the DPRK as well as those of the September 19 joint statement in which it confirmed its stand not to attack or invade the DPRK and promised to respect the DPRK's sovereignty and co-exist with it in peace. Recently the U.S. authorities are often saying that it has no intention to take any act of hostility against the DPRK, but the situation clearly shows that the U.S. DPRK policy to antagonize its idea and social system and stifle it remains unchanged. The consistent hostile policy towards the DPRK pursued by the U.S. is giving rise to the evil cycle of confrontation and tensions on the Korean Peninsula, making the prospect of denuclearizing the peninsula all the more gloomy. The situation compels the DPRK to totally reexamine the nuclear issue. Terrorist arrested in North Korea! 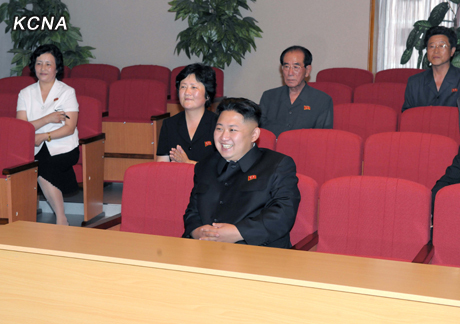 Pyongyang, July 19 (KCNA) -- Jon Yong Chol, defector to south Korea from the north, was interviewed by reporters at the People's Palace of Culture on Thursday. He was arrested as he was trying to perpetrate hideous crime of destroying statues and monuments in the DPRK at the instructions of the U.S. and south Korean intelligence agencies. Present at the interview were reporters of DPRK and the General Association of Korean Residents in Japan and Chinese, Russian, U.S. and Japanese reporters. Overseas compatriots took part in the interview as observers. Jon Yong Chol spoke first. He lived in Songrim-dong No. 2, Songphyong District, Chongjin City of North Hamgyong Province before defecting to south Korea and joining in the moves for destroying monuments of the DPRK by the U.S. and south Korean intelligence agency. Finding it hard to overcome temporary difficulties I had been engaged in illegal trading, broking, etc. I received money from a woman and helped her cross the border. Fear of punishment following its disclosure, I fled to China on April 24, 2010. Wandering here and there I was tempted by an agent of the south Korean Intelligence Service (IS) surnamed Pak and gave him information about the inner situation of the DPRK several times. Guided by him, I went to south Korea. After going through investigation by IS agents and "education" at "Hanawon" I could live in Thoegye-dong, Chunchon City in Kangwon Province of south Korea from March last year. On around November 8 last year when I was frivoling time away without any job, I happened to meet Kim Song Min, who introduced him as representative of the anti-DPRK plot-breeding organization "Front for Liberation of North Korean People" in Seoul with the help of Ri Su Bok whom I got known at "Hanawon." Kim Song Min is a bad man who defected to south Korea after committing crimes. He formed a "statue demolition society" in the above-said front. He said that the U.S. and south Korean "government" authorities actively back the "society" with deep interest in it, and persistently persuaded me to join it if I want to make a huge amount of money. A few days later, Ko Tong Gyun who looked around 40 years old and a man surnamed Sim who looked about 50 called on me saying that they were sent by Kim Song Min. They said that they provided Kim Song Min with a lot of money for the formation of the "statue demolition society" and terrorist acts but every attempt failed, adding that I seemed to be most suitable to do the job. They were agents of the south Korean intelligence body who manipulate Kim Song Min behind the scene. Early in December last year, a "section chief" reminded me of the operation of the "statue demolition society" and briefed me on statue-blowing program and explosive device which was already in preparation. According to it, the explosive device (launcher) is latest equipment which looked like a thermos bottle capable of destroying at the target within 150-300 meters. For 12 hours since the target was leveled, it will be in automatic state. When the man who set it switches it on by remote controller within 4-6 kilometers, it will be automatically launched to blow the target. They told me about the process of the "undertaking". When the manufacture of explosive device was completed, the user first was to go to the area of China bordering the DPRK and be on standby after casing the target. The explosive device is a terrorist weapon under worldwide control. It consists of three parts. The three parts were to be smuggled separately through different routes and assembled on the spot before undergoing performance test. Finally it was to be handed over to the man who was to carry out the "undertaking". The terrorist would go to the DPRK via secret route and set the device ready to go off. When the exploding time is set on the spot, a satellite would photograph the area while staying in the sky above the area for 30 minutes or an hour before the explosion. Jon Yong Chol then elaborated on how the south Korean puppet regime drew up the operation and tried to put it into practice. According to it, I was to get disguised as smuggler and prepare two same boxes which looked like the box of personal belongings. I was to give one box with bribes in it to a smuggler who opened up the secret border path and carry another one containing the launcher to my mother's, to stave off his suspicion. I was to go up to the rooftop of an apartment before the statue and set the explosive device under the roof and then drop in at my mother's house. There I was to give a mobile phone containing the remote controller to my mother and request her to press the button of the mobile phone (button of remote controller) to call me if there is no news from me until 7 o'clock in the morning. Then I was to leave the house. I was to cross the border again to China with the smuggler's help and destroy the statue by pressing the button of another remote controller which I was carrying. According to the program, if my remote controller does not work for any impairment, my mother was to press the button to call me and then the statue will automatically be destroyed. Those agents sped to the U.S. saying that the program should finally be approved by the U.S. to get funded. On December 27, the agents called on me to say that the program was approved by the U.S. and I must succeed this time. I set February as the month for demolition, but the "undertaking" had to be prolonged to April as the explosive device was not prepared. They said if April 15 is set as the day of the "undertaking", it would spoil the atmosphere for celebrations of the Day of the Sun which the north had prepared with much effort, spread the rumor and stir up the mindset of the people in the north, adding that it will thus spark off a big furor. They emphasized that the incident should be spread to have been committed by the people in the DPRK not by outside forces. This was the purpose sought by the U.S. and south Korean puppet regime. On March 24, 2012, I arrived in Yanji, China by air. But, the "undertaking" slated for April had to be postponed again because explosive device was not ready. According to the "undertaking" program slated for 00:00 on July 27, the anniversary of the victory in the Fatherland Liberation War, I went to China again together with Ko Tong Gyun on May 5. When we were standing by in Yanji, Ko showed me the technical manual of the explosive device which included detailed information about assembling and use of the launcher and the results of explosion, etc. If succeeded, the explosion will reduce the target to ashes and the remaining parts of the explosive device will also go off. So, no one will be able to know about it except the one who remote-controlled it. I, together with Ko, made preparations to open the border route as indicated by Sim. At around 9:30 p.m. on May 13, I went to the opposite shore of Tuman River with Ko and Sim to assure them of the security of the secret border route. That day Sim told me to wait for future instruction, saying blasting installations would be ready by the end of June. In the meantime I constantly got in touch with Sim who returned to south Korea and a guy called Son Ki Man who introduced himself as chief of the Defense Security Command of the south Korean army. This indicates the general mobilization of south Korean intelligence and plot-breeding organs. As it is not bad to confirm the spot, I crossed the border at around 11:00 p.m. on June 18 and made my way to the border city in the DPRK side. After learning about the statue and its surrounding area, I was going back to the border side when I was arrested at around 2:00 a.m. However, this did not mean an end to mean plot of the enemies. Though I was detected and arrested, the U.S. and the south Korean intelligence organs would continue producing more Jon Yong Chol and make desperate efforts to put into practice hideous terrorist plots which they failed this time. I came to clearly know through my experiences that their reckless acts are just as foolish a daydream as trying to sweep the sea with a broom. Answering questions raised by journalists, Jon Yong Chol said that the south Korean regime set up "groups" and "organizations" with defectors to the south, other betrayers and wicked hostile elements, kicking up madcap anti-DPRK confrontation rackets. 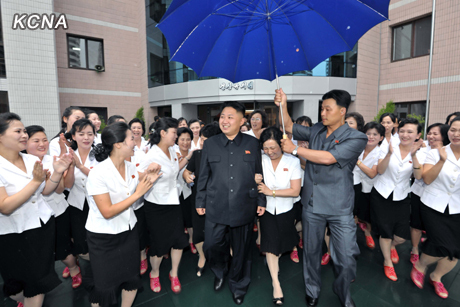 He named the "Front for Liberation of North Korean People" as a typical example. This is a plot-breeding organization the purpose of which is to undermine the DPRK and "overturn its social system." Recently, they are hatching a mean plot to infiltrate "special operation team" into the DPRK being assigned the duty of raising "turmoil" in it. An organization specializes in writing graffiti on public buildings and spreading false rumors at markets in the north. South Korean conservative media as well as "Radio Free North Korea" and "Radio North Korean Reform" mainly consisting of defectors to the south are being engaged in slandering the DPRK almost every day. Meanwhile, the regime prods ultra-right conservative organizations and gangsters to hold "lectures", "round-table talks", "seminar" and the like every day to find fault with the DPRK. Jon cited detailed facts to prove that the U.S. is being deeply involved in the recent hideous political-motivated terrorist case. He confessed that he not only betrayed his family, home and the country but also perpetrated the high treason of hurting them, being preoccupied with getting money. Those who get involved in the south Korean regime's terrorist acts and sabotage, being bribed by money, will only meet disgrace and death being branded as traitors, he said, adding: I would like to advise them to take a proper way for the country and people though belatedly. Our most sincere congratulations to great respected Marshal Kim Jong Un, supreme commander of the Korean People's Army on the award of the title of Marshal of the DPRK to him. The award of the title of Marshal of DPRK ,the top military post of the DPRK fully reflects the support and confidence in dear respected Marshal Kim Jong Un. It it is a full recognition of his leadership abilities and brilliant commanding art. Dear respected Marshal Kim Jong Un has proved his great military ablities through his guidance to Seoul Ryu Kyong Su 105 Guards Tank Division of the Korean People's Army on the 1st of January this year as well visiting Panmunjom where the KPA stands face to face with the enemy. The Korean people now have another brilliant Songun supreme commander who will crush the US imperialists and south Korean puppets and reunify Korea! LONG LIVE RESPECTED SUPREME COMMANDER KIM JONG UN MARSHAL OF THE DPRK ! The ASSPUK ,JISGE and UK KFA denounce the attempted terrorist strategem of the south Korean puppets and CIA against the DPRK which were revealed in the statement of the Committee for the Peaceful Reunification of the Fatherland made on Monday 16th July titled " Anti-DPRK subversive Activities Assailed "
are completely intolerable. On its own terrorism is serious crime but when added to the crimes of slandering the supreme leadership of the DPRK, arresting pro reunification activists such as Mr Ro Su Hui and driving inter-Korean relations into breakdown and confrontation. Kim Jong Il as well the respected for those who fought in the anti-Japanese war and the Fatherland Liberation War . To attack such monuments is an act of sacrilege as well as a criminal attempt to obliterate the revolutionary traditions of the Korean people and history of the DPRK. This was done with the assistance and knowledge of the US . It fits in well with the history of terrorism, subversion and interference of the US Central Intelligence Agency. This organisation has carried out numerous assasinations such as those of Allende and Patrice Lumumba plus 100s of military coups . No doubt this planned action was part of a wider plan by the US imperialists and south Korean puppets to try and create a Libyan or Syrian style scenario in the DPRK and overthrow socialism in force. However the DPRK is not the middle east nor the old Soviet Union but it is the DPRK based on single-hearted unity and the great Juche idea !. Mr Yankee needs to know this and keep his nose out of Korea for good !. We hope that Juche idea and Songun idea followers will expose the truth about the terrorist actions of the US imperialists and south Korean puppets against the DPRK! Down with the south Korean puppets ! Down with the CIA ! Pyongyang, July 18 (KCNA) -- A decision was made to award the title of Marshal of the DPRK to Kim Jong Un, supreme commander of the Korean People's Army. The south Korean puppet regime, not content with hurting the dignity of the supreme leadership of the DPRK, infiltrated defectors to the south to the DPRK being assigned duties of subversive activities and sabotage. According to a relevant institution, it detected and arrested those who were going to destroy statues and monuments in the DPRK at the instructions of the south Korean intelligence agency. The criminals, defectors to the south who betrayed their homeland, confessed that they were bribed by the U.S. and the intelligence agency into doing sordid subversive activities and sabotage. All witnesses and material data available prove that not only the intelligence agency but the U.S. have been deeply involved in it and the U.S. directly approved and spearheaded the operation. This was a hideous terrorist act against the dignity of the supreme leadership of the DPRK and a serious state-sponsored terrorism in breach of international law. This proves that the U.S. and the puppet regime have gone reckless in their subversive activities and sabotage against the DPRK. The regime in league with the U.S. has so far allured and abducted DPRK residents and carried them to south Korea to use them for anti-DPRK smear campaign. Now it is even prodding wicked defectors to the south to intrude into the DPRK and conduct serious subversive activities and sabotage. With strong U.S. backing, the south Korean intelligence and plot-breeding organizations rallied traitors and set up anti-DPRK terrorist organizations specializing in all kinds of subversive activities and sabotage. They are now providing them with huge funds and even subversive and sabotage means and infiltrating them into countries around the DPRK and areas close to the northern border aimed at terrorist acts against the DPRK. The recent criminal case is an extension of the hideous provocation against the dignity of the supreme leadership of the DPRK and the height of confrontation racket. The U.S. and the puppet regime are seriously mistaken if they think they can stir up people's mindset and undermine the single-minded unity of the DPRK through such sordid subversive activities and sabotage. 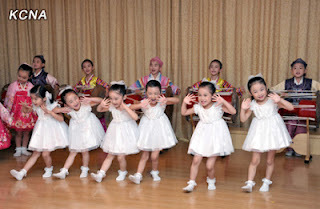 No hostile forces can ever break the single-minded unity of the DPRK no matter the earth breaks apart and the sky falls. Whoever tries to hurt the dignity of the supreme leadership which the Koreans look up to like Heaven will never be able to evade stern punishment. The U.S. and the puppet regime's anti-DPRK subversive activities and sabotage are bound to meet shameful defeat, exposed by the sharp watchful eyes and vigilance of the army, people and security men replete with the spirit of devotedly defending the leader and annihilating the enemy. Pyongyang, July 15 (KCNA) -- Kim Jong Un, first secretary of the Workers' Party of Korea, first chairman of the DPRK National Defence Commission and supreme commander of the Korean People's Army, visited Kyongsang Kindergarten. Smart children presented bunches of fragrant flowers to him, saying "Thank you dear respected General Kim Jong Un very much." He gently patted them on their cheeks, asking how old they were. He entered the playground, kindly taking them in his arms. "It is nice to see the playground covered with rubber mat", he said, watching with a broad smile children merrily using amusement facilities: some were competing with each other with their knees bent and others were riding on swing boats, plane-shaped slides, rocket-shaped plane on the lawn. 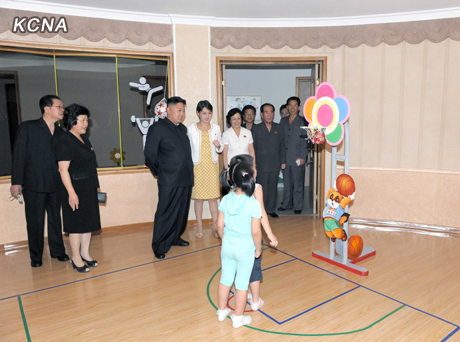 He dropped in at the room dedicated to the history of the kindergarten. He praised the kindergarten for producing many music wonders, mentioning every artiste who learned music at the kindergarten. Watching the children lost in playing, he was greatly satisfied with the good arrangement of the general playground. Looking at Ri Kang Juk, head of the kindergarten, he said he revisited it because it is important to develop pre-school children's intellectual faculties and he wanted to project her doing her job well. Kyongsang Kindergarten could be modernly spruced up thanks to the help from the related units but it was largely ascribable to her work style. He gave her the highest appreciation by giving an instruction to widely introduce her and generalize her work style. He visited the junior third class to watch the children drawing paintings with crayons and their skills, emphasizing the need to teach them well how to draw so they might acquire ability to observe things and phenomena from childhood. Watching a notice board "Who is more gentle" full of red stars, he noted that using the board is a good educational method suited to the feelings of the children who wish to do more good things than others. He also saw the children of the senior fifth class making a composition entitled "To boast my mother" and smart children dancing in the rhythmic room. 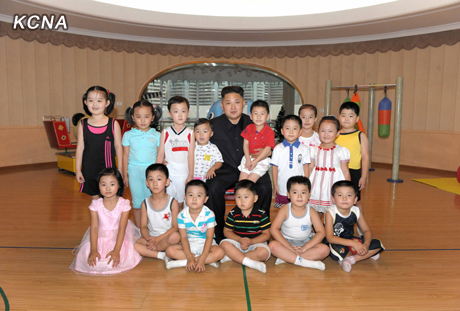 Then he dropped in at the physical training room and had a photo taken with the children, taking them in his arms. At the piano room he was pleased to see the children playing pianos skillfully, saying they were good at finding harmonic intervals. He kindly took the hand of Kim Hyang Suk, head of the department for piano education, who has brought up a lot of juvenile music prodigies, expressing his hope for steady success in her future work. Then he visited the underground wading pool and learned about the temperature of water. 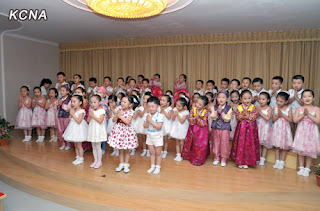 He enjoyed a performance given by the children of the kindergarten at the hall. 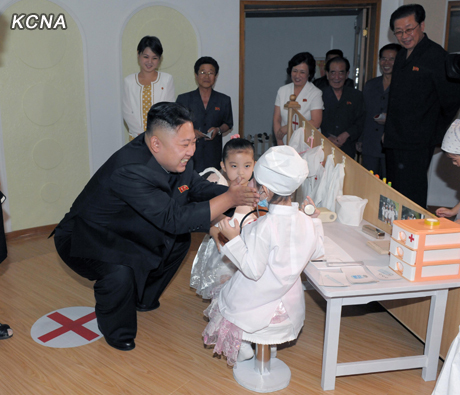 That day he presented Kyongsang Kindergarten with gifts. He had a photo taken with the officials and teachers of the kindergarten.